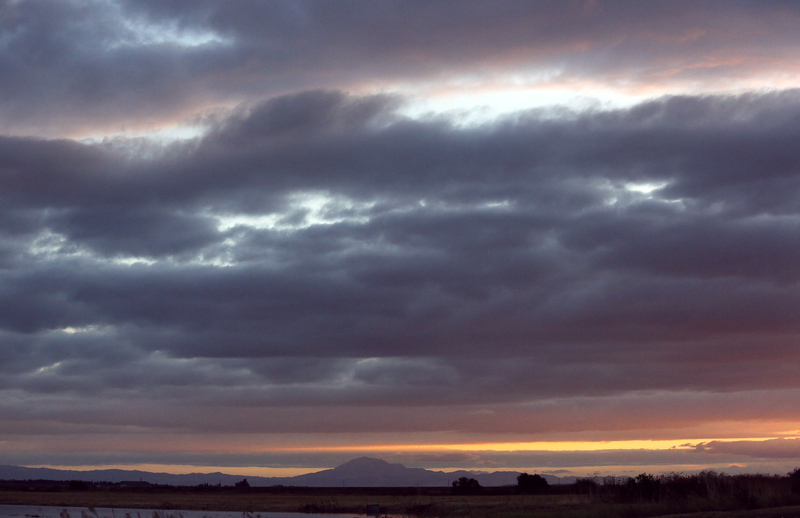 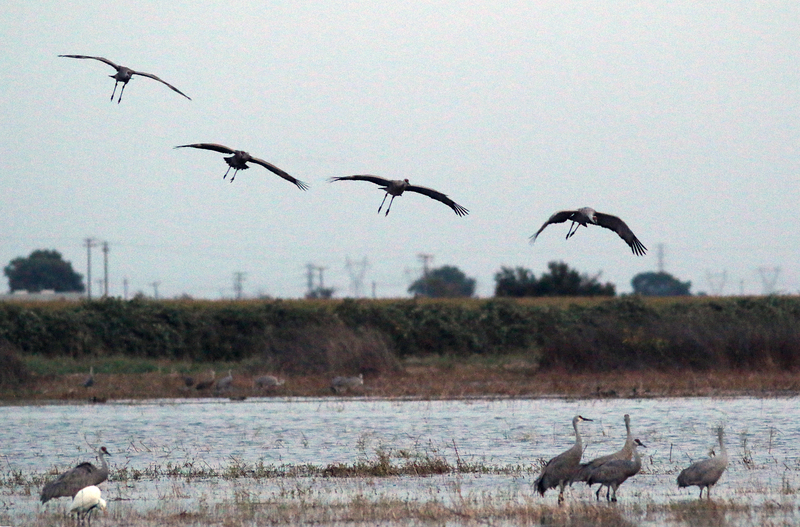 It has been 10 years since I made my first trip to the Woodbridge Ecological Reserve just west of Lodi. 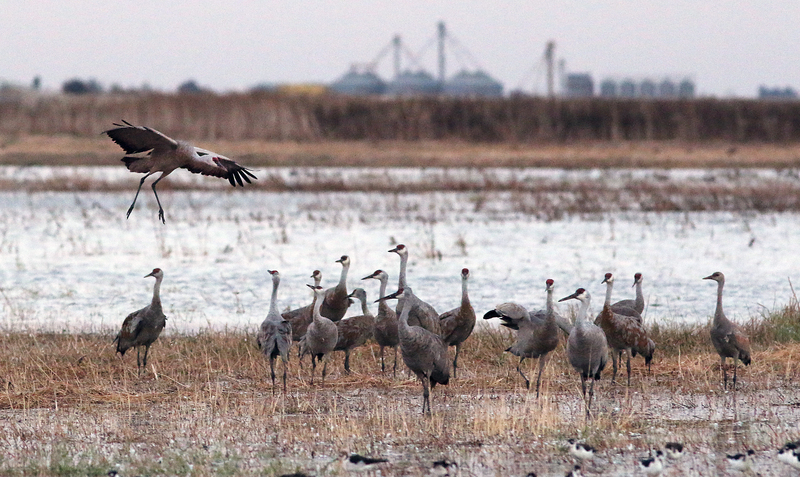 Standing in the gathering darkness thousands of sandhill cranes trumpeted their arrival to the small wetlands. 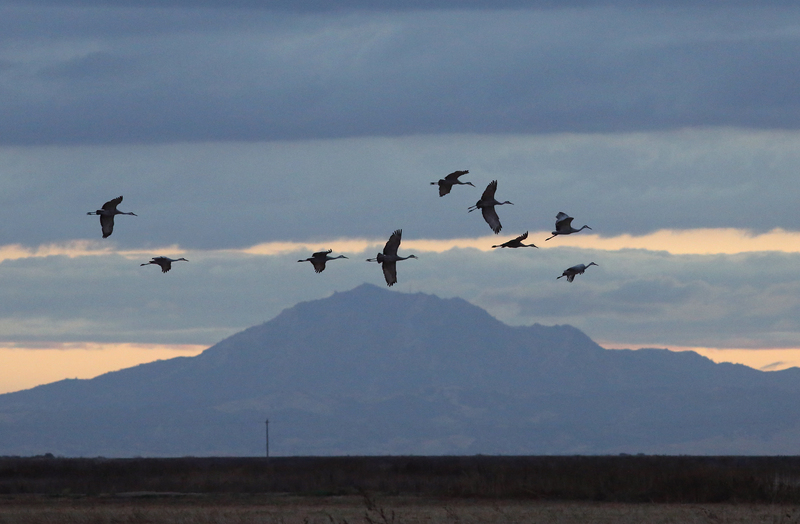 Since that trip it has been a yearly adventure to return to reserve also known as the Isenberg Crane Reserve to watch the cranes sunset arrival and sunrise departures. 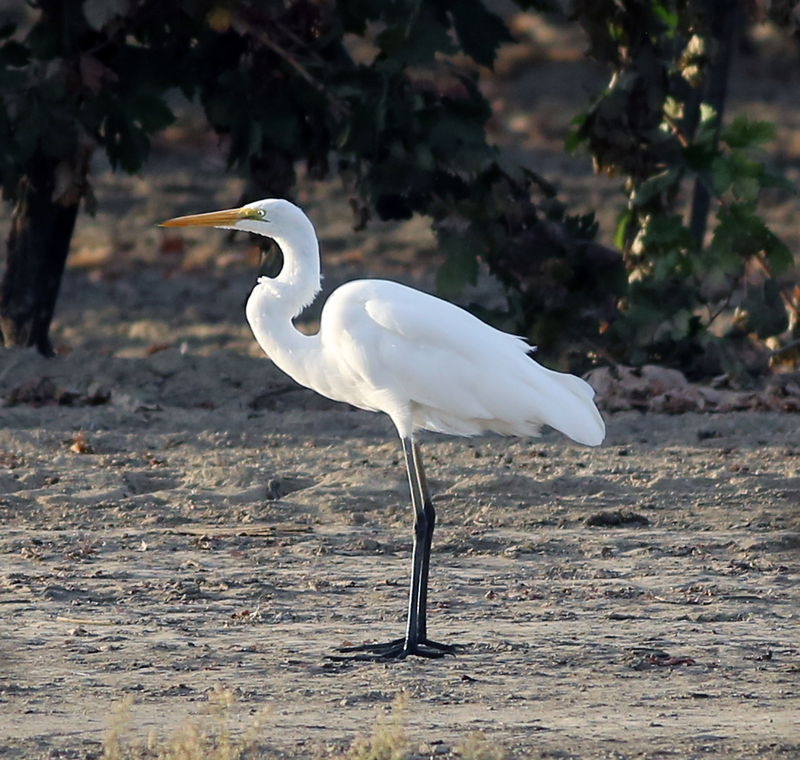 The farmland is flooded with water from the Mokelumne River in mid-September and provides a wetlands for migrating birds. 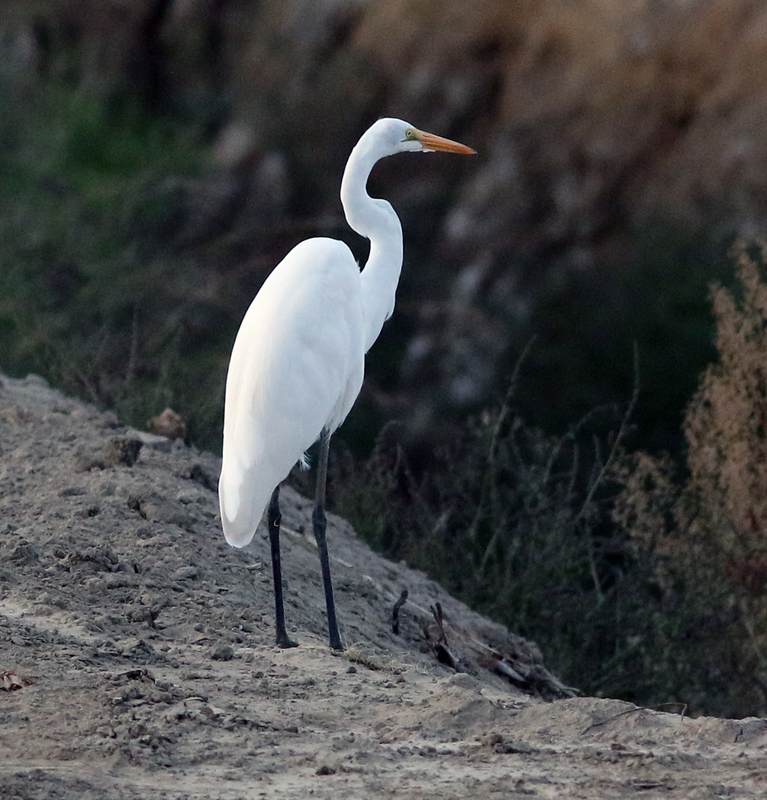 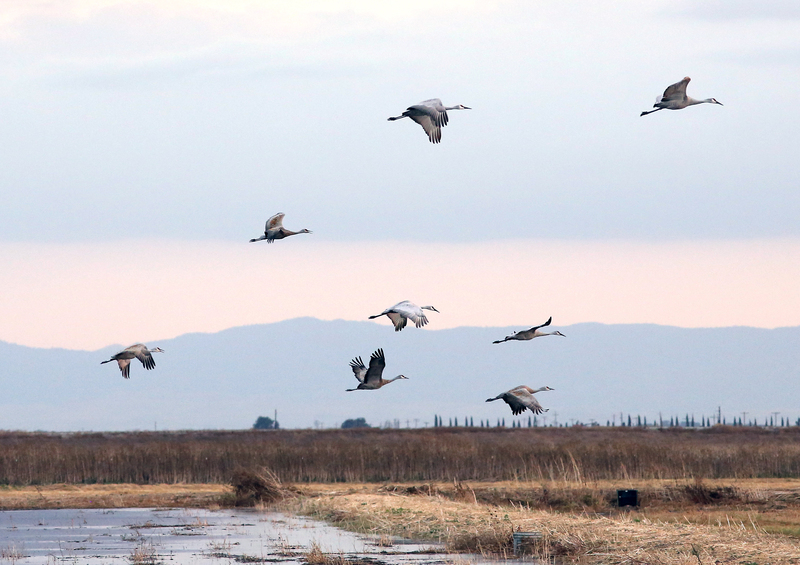 An evening visit will see the sandhill cranes, ducks, geese, egrets and much more roosting in the water safe from the predators in the countryside. 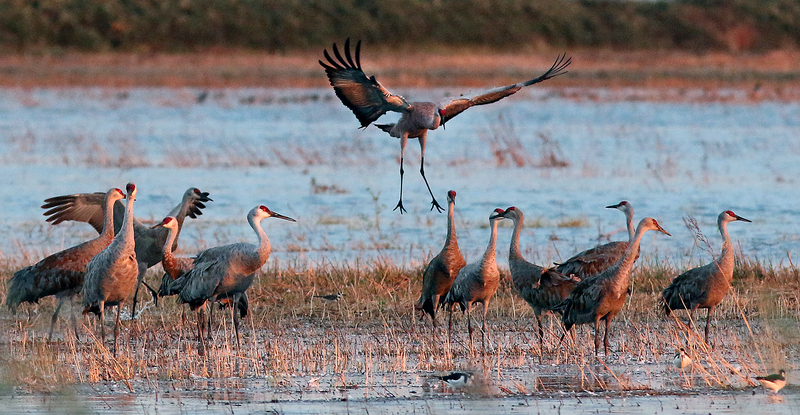 From late September through the beginning of February the sandhill cranes will forage in the surrounding farmlands throughout the day and return to the wetland as the sun sets. 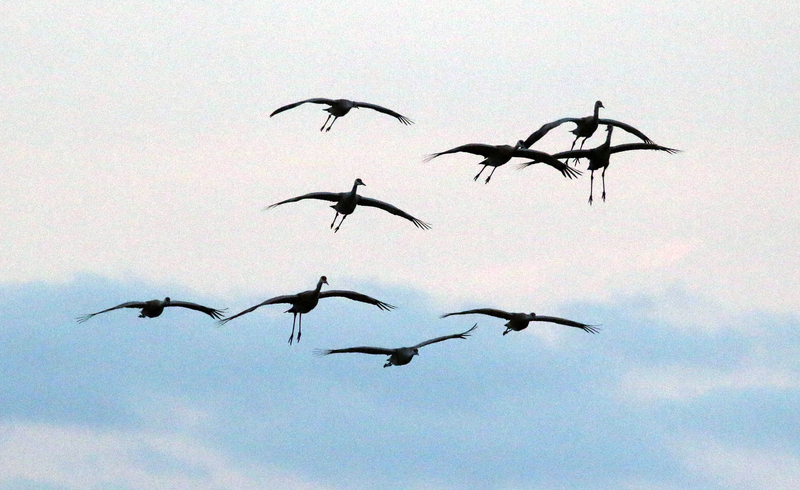 As their number grows the horizon will be dotted with the cranes as they approach in the dim twilight, calling to other cranes in their family to find where to roost for the evening. 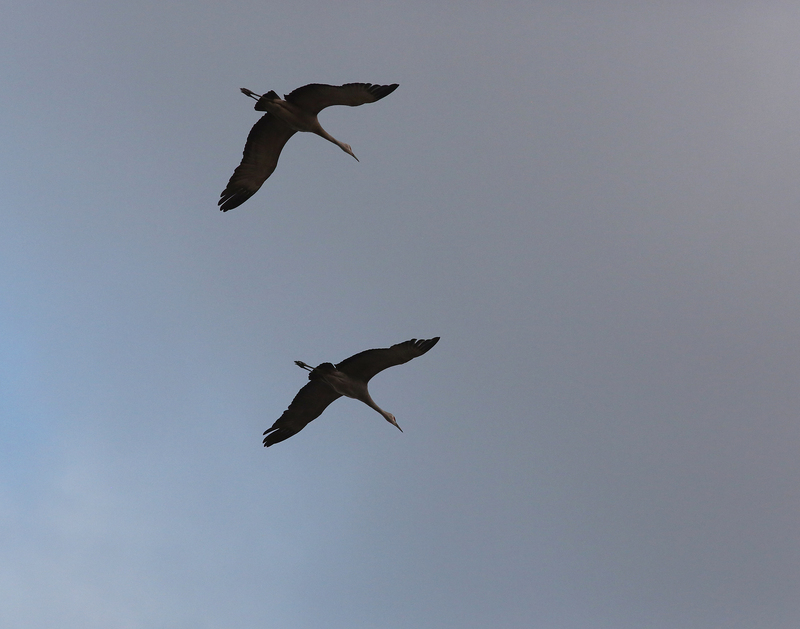 In the pre-dawn hours before the first light illuminates the water you can hear the cranes as they awaken and trumpet in the darkness. 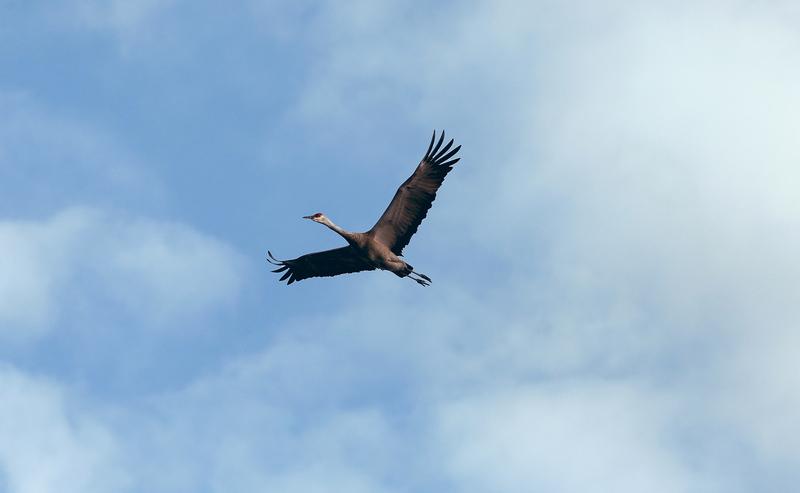 For ten years I have mad the trek to Isenberg two or three times each month, through fog and rain, in freezing cold and sweltering heat. 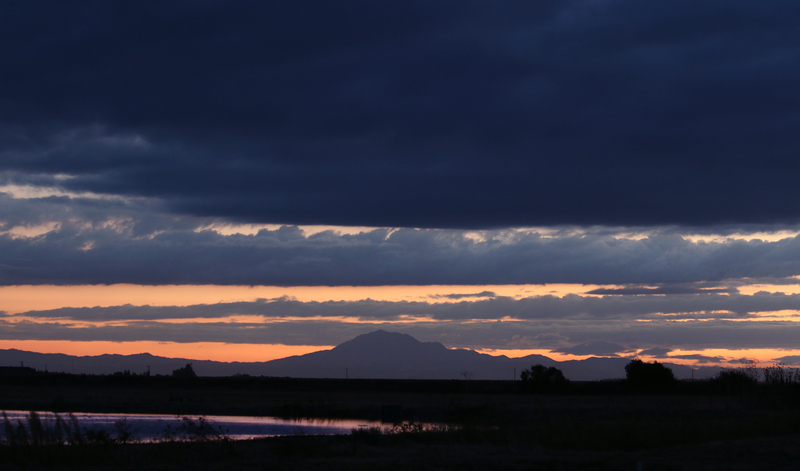 The colors change, the scenery grows dryer and into the winter months the number of of visitors to the small strip of viewing space dwindle as the mercury plummets. 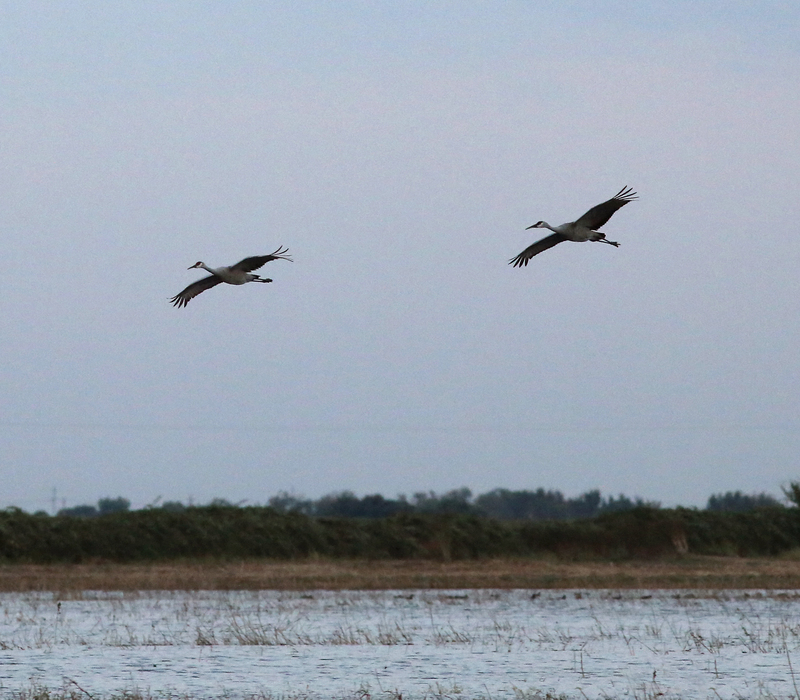 For my first trip of the season on the last weekend in September I was greeted with winter like conditions. 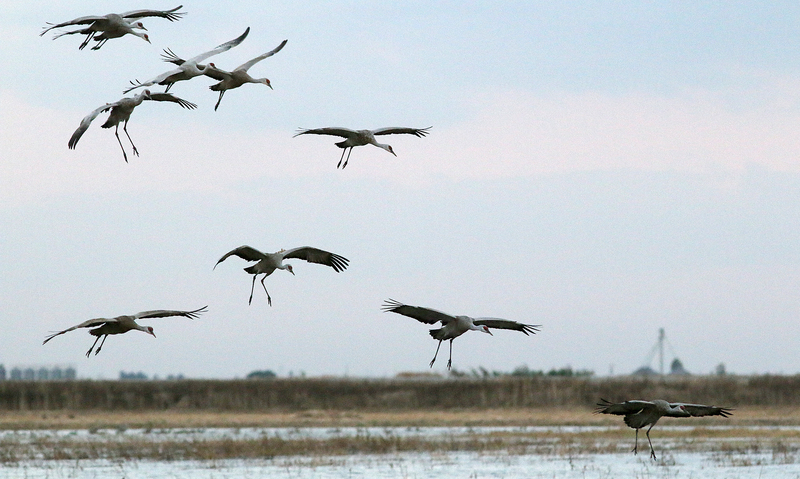 Clouds cast a blue hue across the wetlands as a steady wind dropped the temperatures quickly. 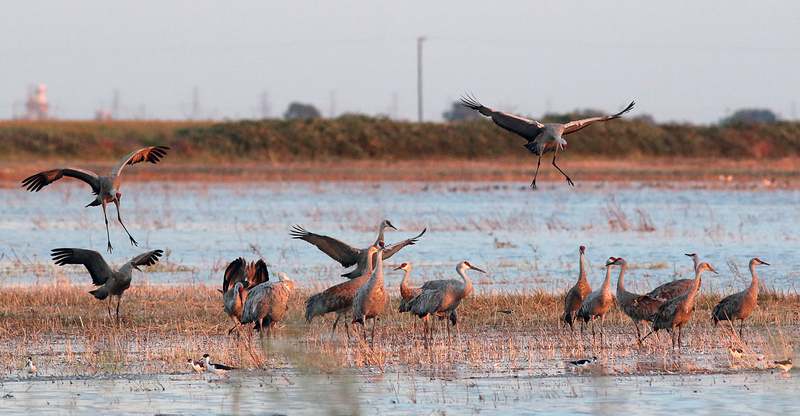 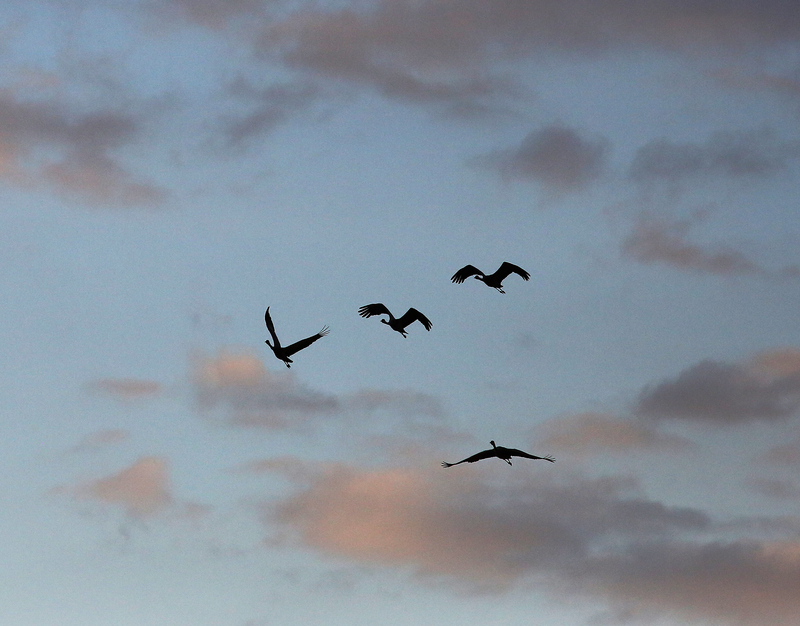 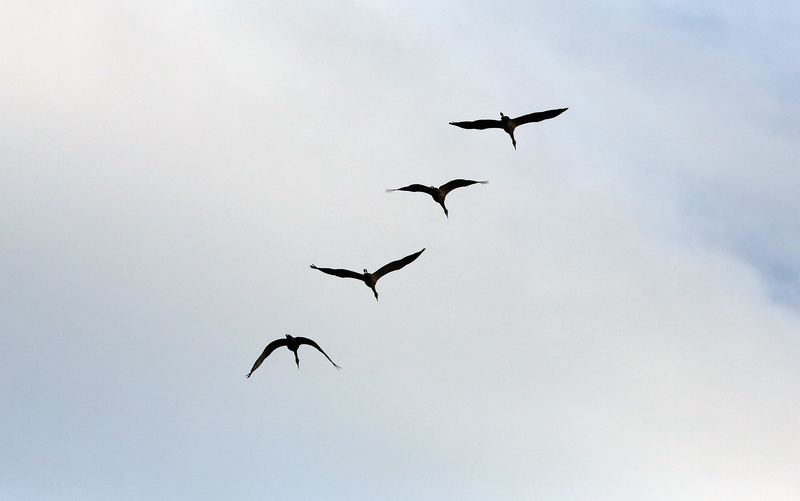 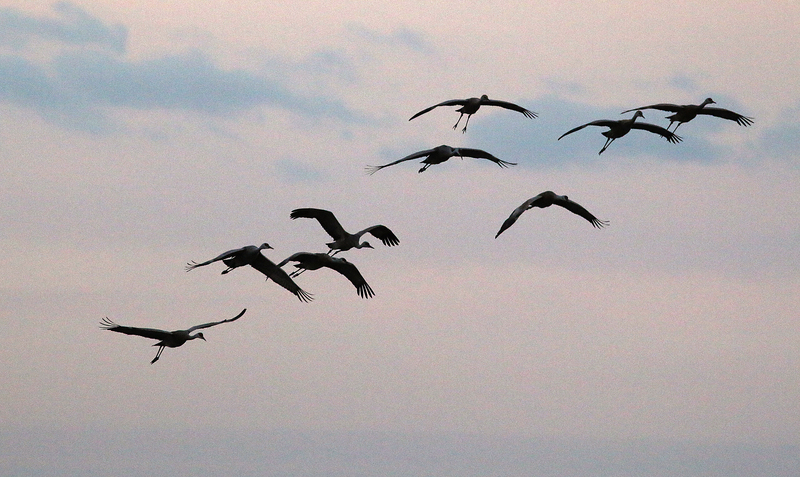 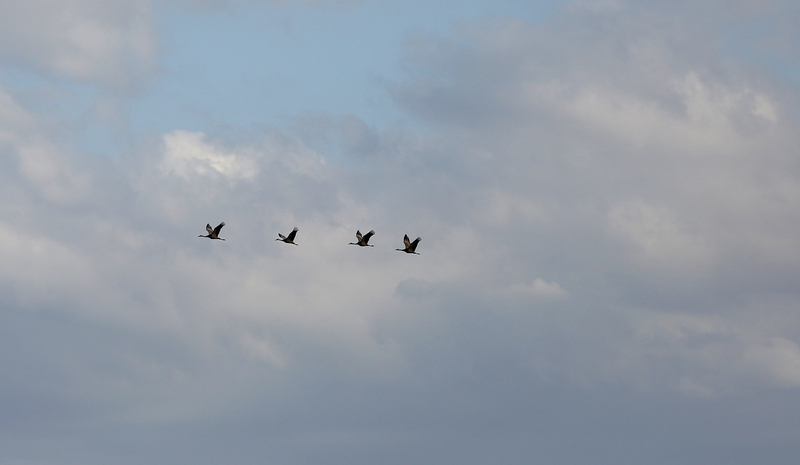 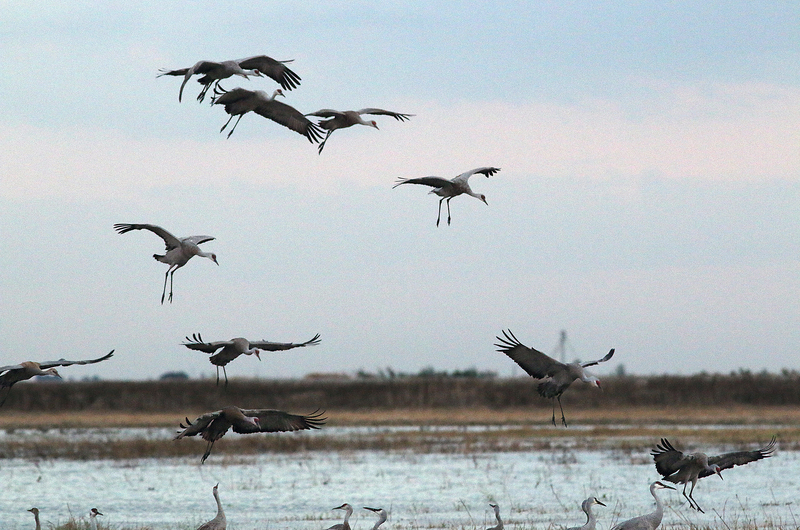 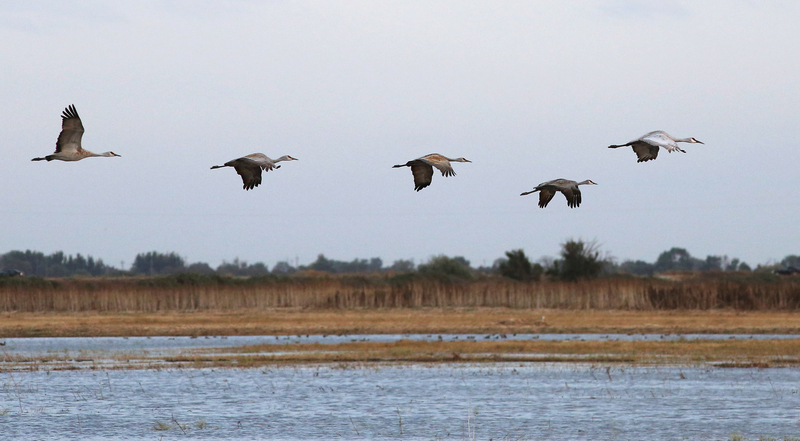 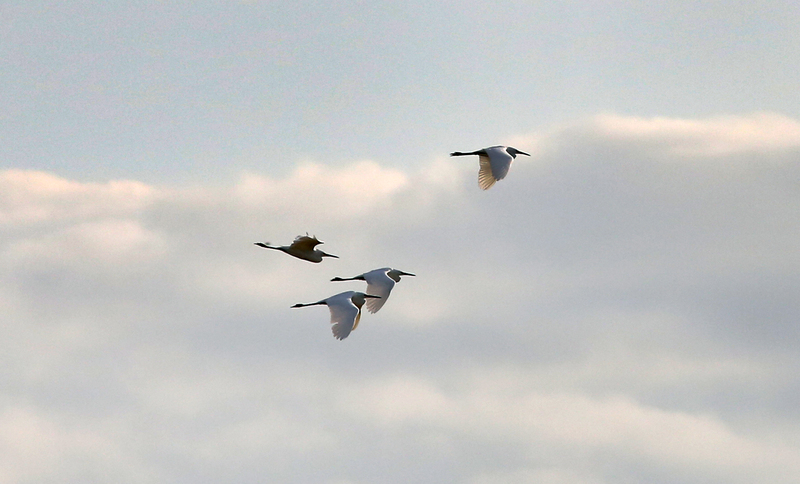 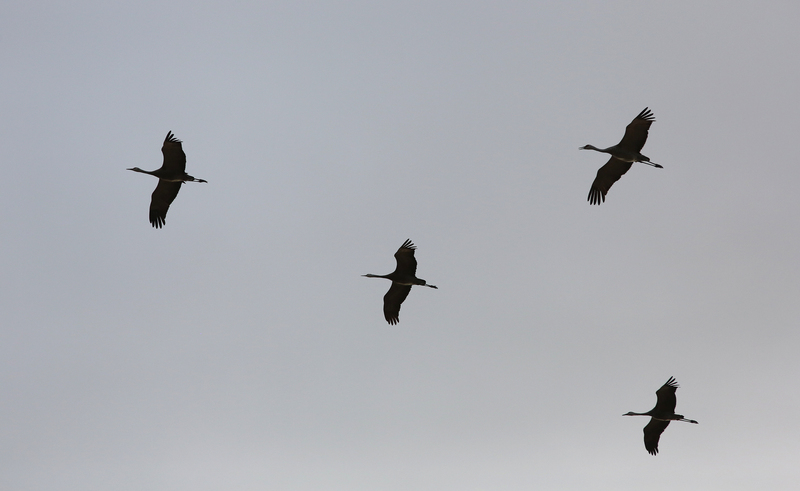 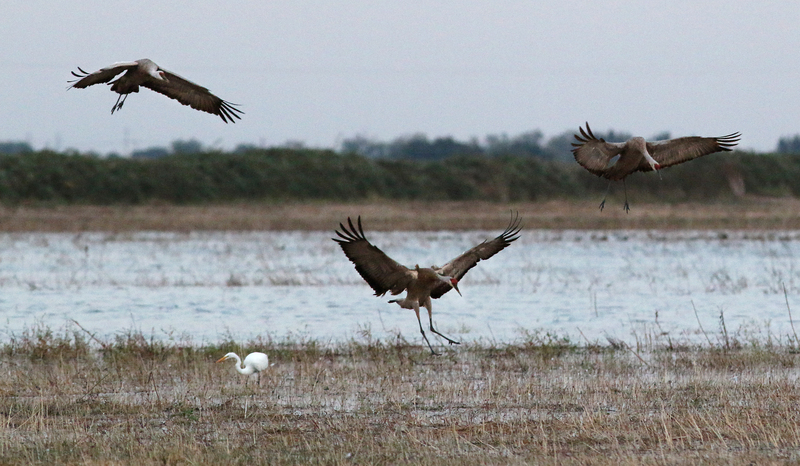 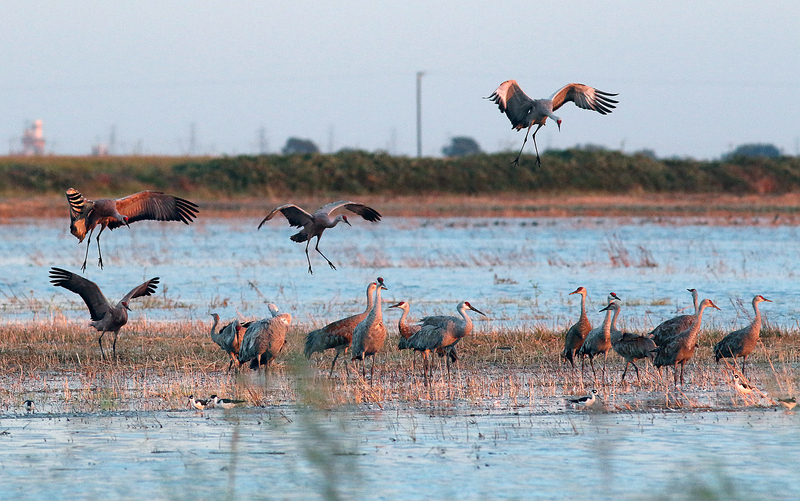 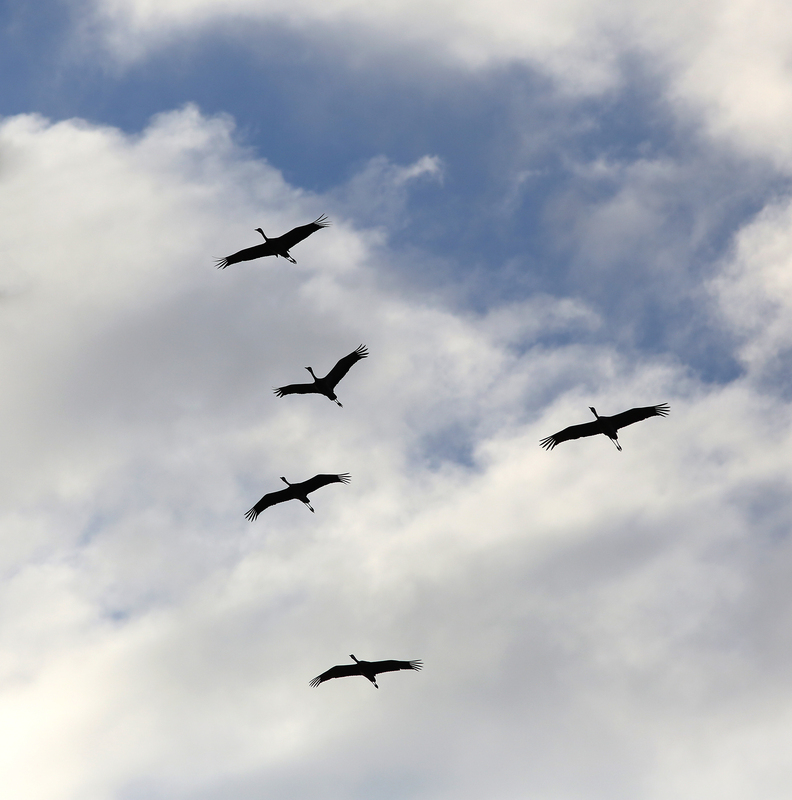 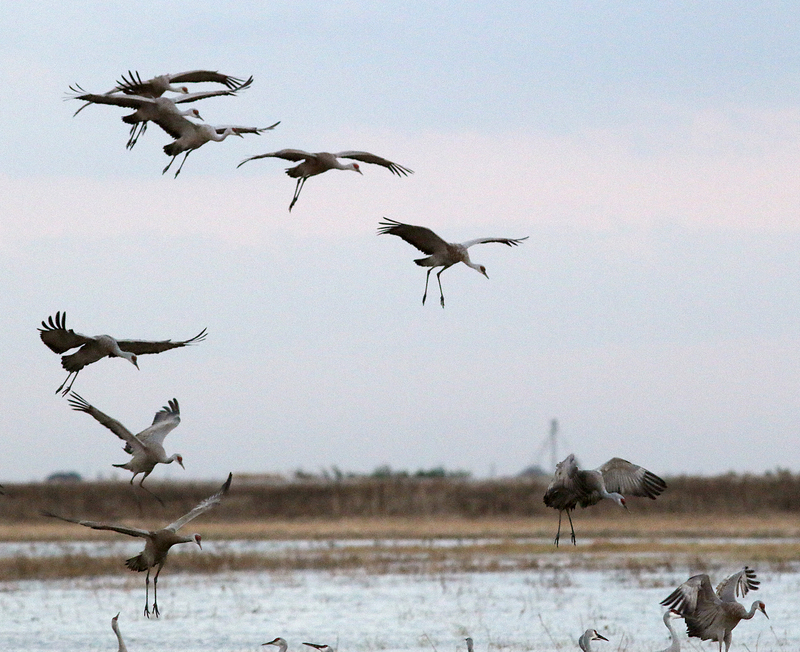 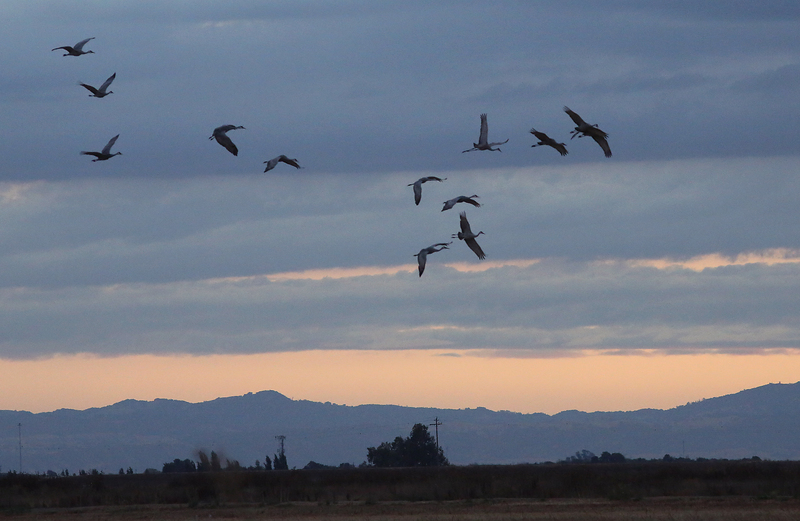 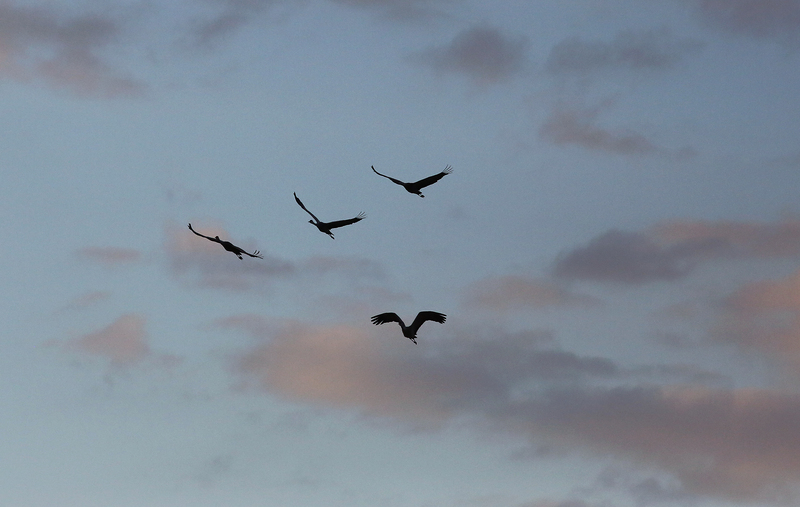 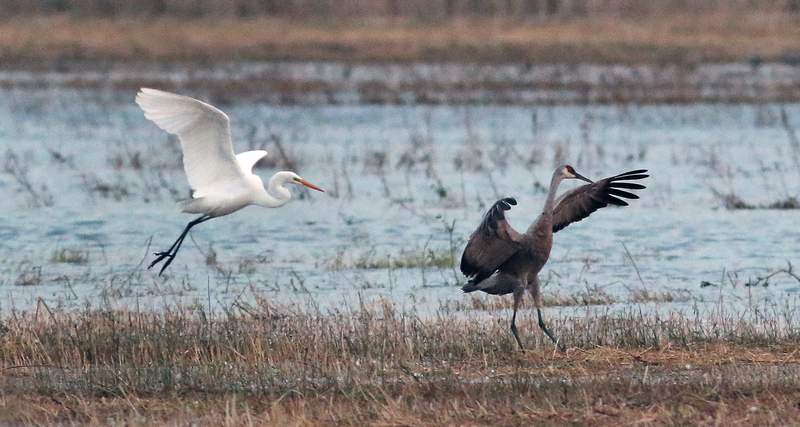 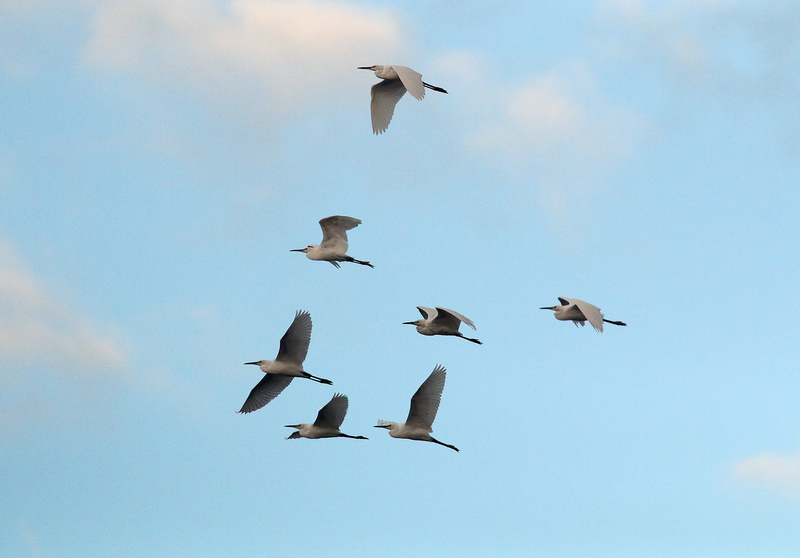 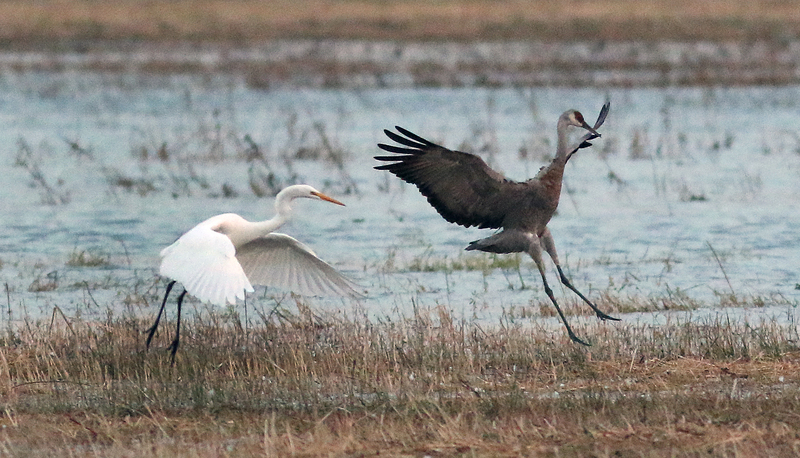 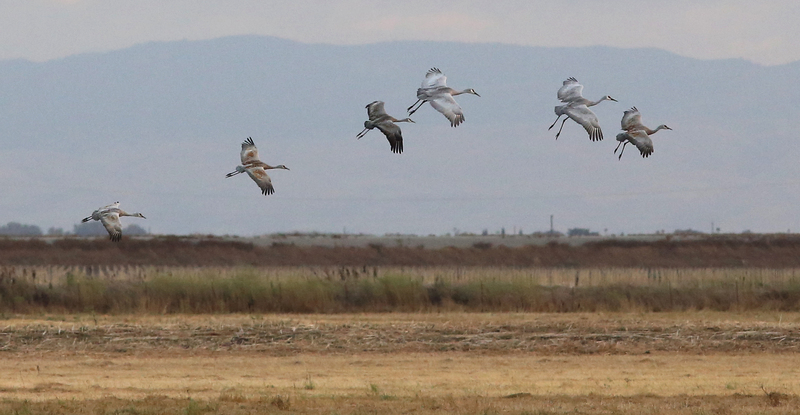 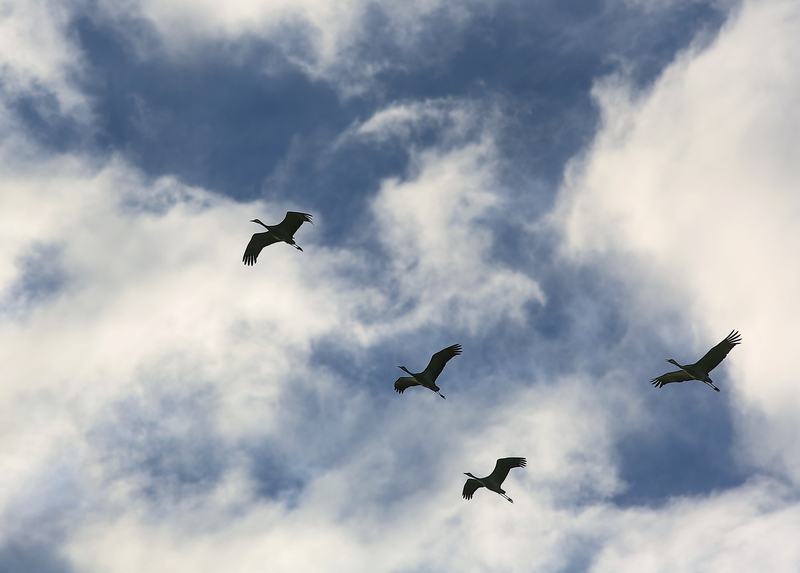 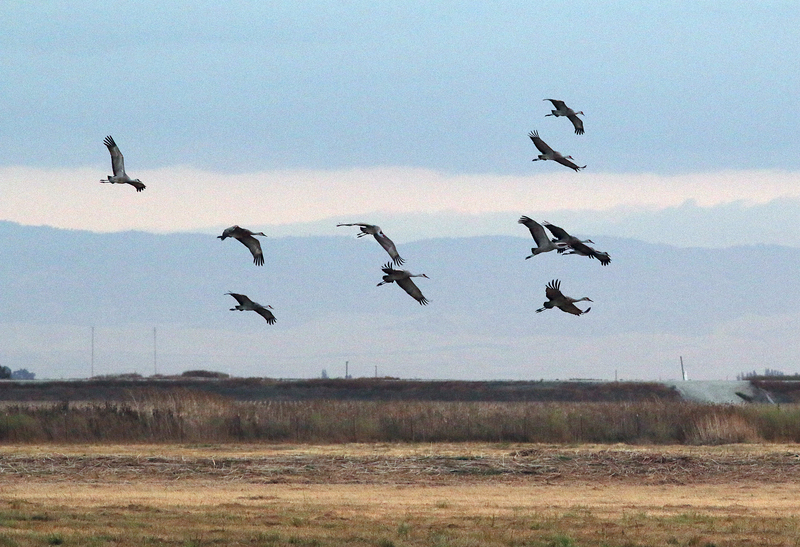 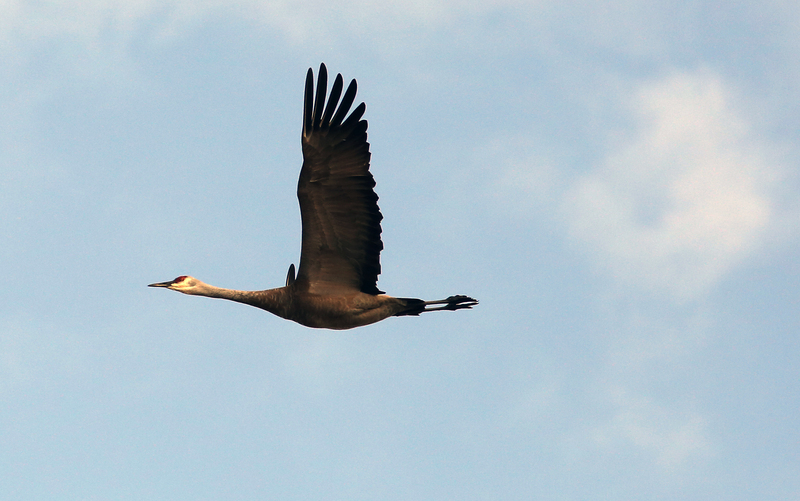 The first vanguards of the sandhill cranes arrived at twilight and the season has begun. 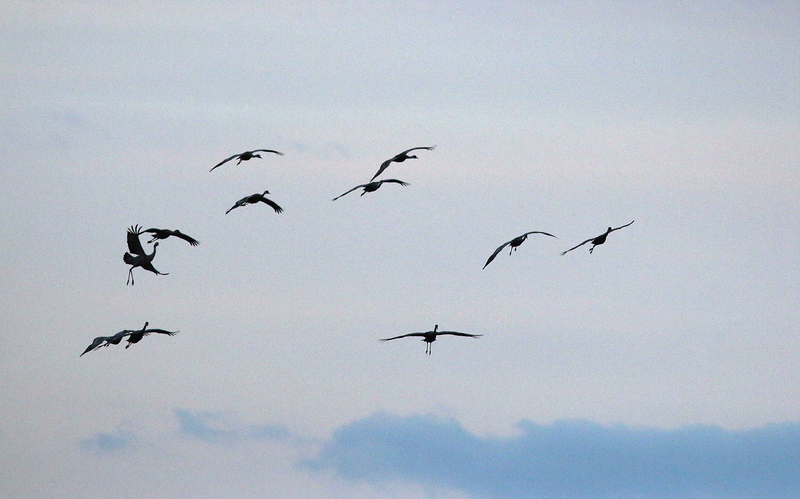 I’m planning several more trips during my 10th year recording the visitors to Isenberg. 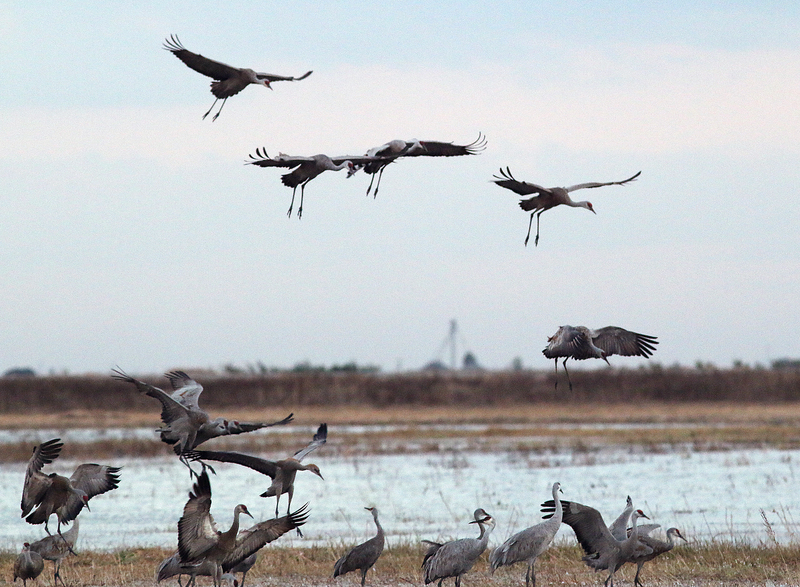 It really is much more than the just cranes — it is the light, the sounds the different shapes and patterns — it is a visual experience I can’t really describe. 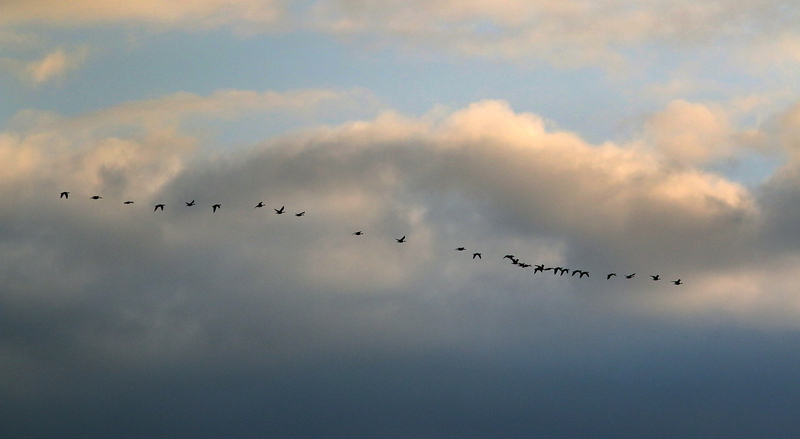 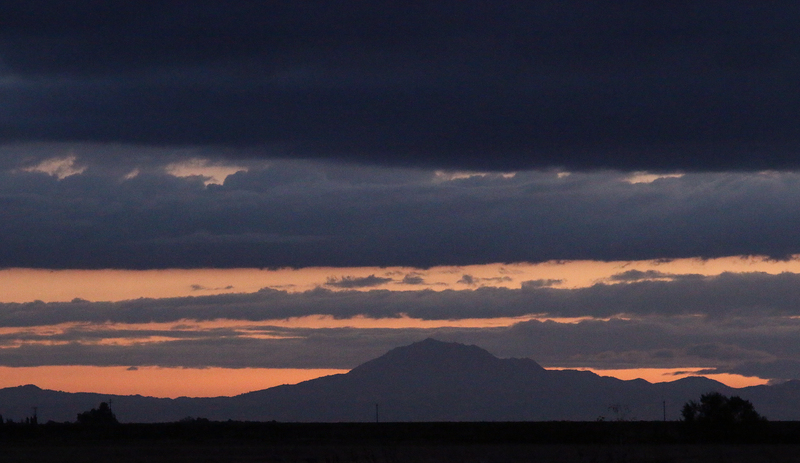 The land is the same but the light is always changing, and the multitude of birds always present a different show. 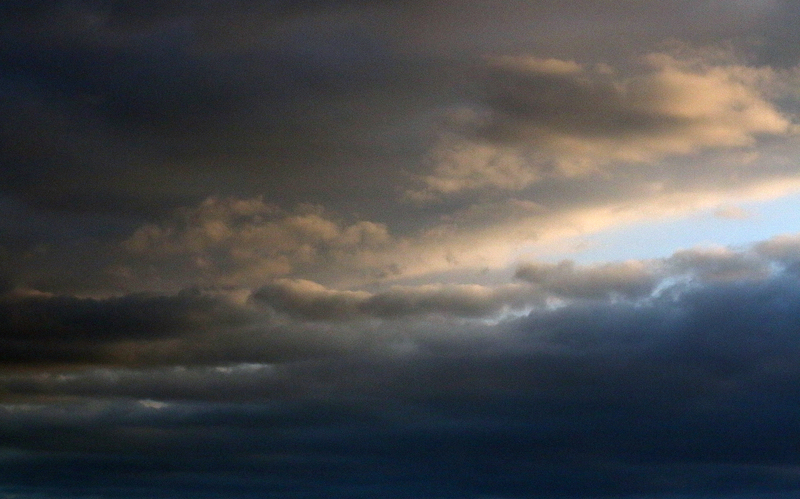 A decade capturing the light and color of Isenberg, let the story begin again.